As automotive manufacturing migrates and expands to Mexico, Canadian suppliers are following suit and thriving, given that they heed several key precautions. For M.I. Integration, based in Sherbrooke, Que., two major challenges surfaced: overcoming the initial risk, and adapting to the culture. “For sure there is a risk at the beginning because you have to launch yourself without being sure that the revenue will be there,” said Vincent Houle, vice-president of strategy for M.I. Integration. M.I. Integration is a parts manufacturer operating mainly in the auto-motive sealing market. It has been in business for more than 25 years. The company saw a number of its OEM and Tier 1 partners begin to invest in Mexico and decided to build its own facilities there. “To have a proximity strategy with our customers and the OEMs in Mexico, we decided to start our induction molding facility in 2011,” said Houle. “It just brings more volume to our total business.” Today, the company employs 100 people in Mexico, in addition to 160 in Sherbrooke. According to data collected by the Government of Canada and provided by the Automotive Parts Manufacturers Association (APMA), 52 Canadian automotive companies have already expanded into Mexico, occupying 107 facilities, the majority being based in the states of Coahuila and Queretaro, which have become epicentres of vehicle and parts manufacturing in Mexico. In addition to one OEM (Bombardier), the remaining Canadian entities comprise 31 parts manufacturers, 24 tooling and machinery operations, and 29 others. Broadly, there are two approaches that can be taken to expansion into Mexico: outsourcing to existing, locally based suppliers, or building and staffing a dedicated facility. A white paper titled “Component Manufacturing in Mexico: Common Challenges Faced by U.S. and Canadian Companies,” published by Mexico-based automotive-parts supplier Intran, details the challenges and potential benefits of Canadian companies deciding to outsource to an existing producer. • A lack of investment in internal engineering expertise. The suggested solution is to perform on-site visits with any manufacturer under consideration for partnership to assess the environment and ensure it actively invests in its workforce and culture. • Shared time zones for easier and more timely communication. The final factor to weigh into the decision to outsource to Mexico is the ability to weather a wavering North American Free Trade Agreement (NAFTA), which is facing some instability under the current political climate in the United States. It was a challenge for M.I. Integration to adapt to the "rhythm" of Mexican culture, meaning the management style had to be adapted. 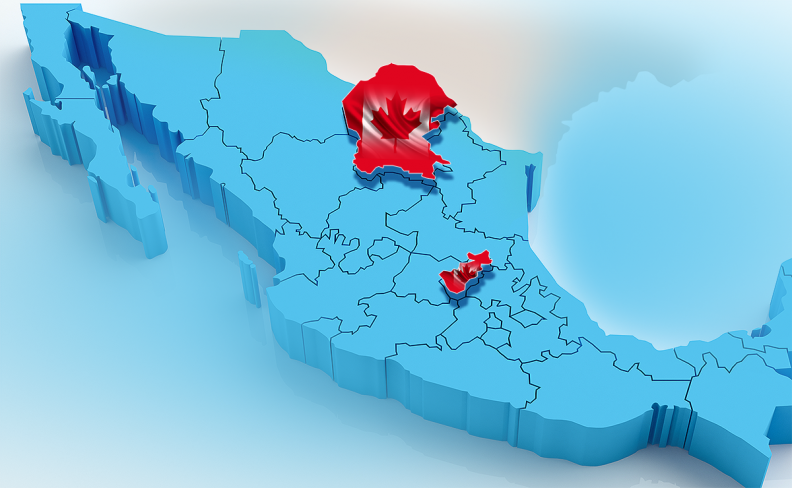 Expanding into Mexico by building and staffing dedicated facilities carries a similar pro/con list, but the upsides can be significant. About one third of M.I. 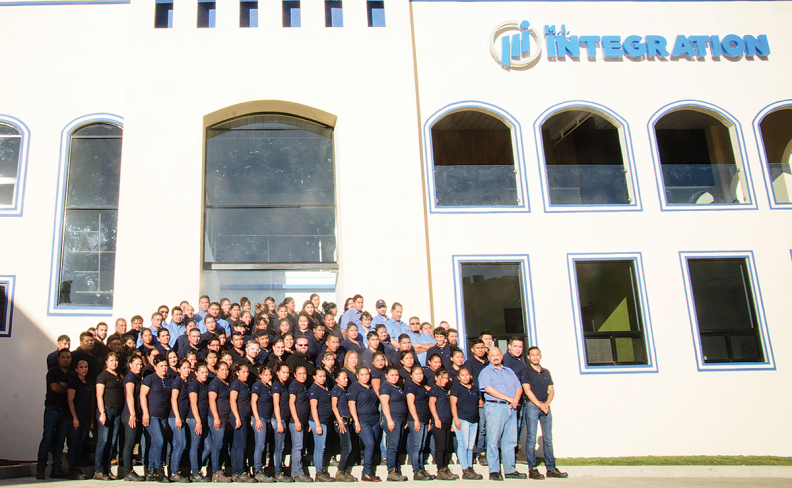 Integration's profit comes from the Mexico operations. After opening its second facility there in November, Houle projects that number will rise substantially. Although the political climate in the United States is making some companies with Mexico connections uneasy, Houle said that I.M. 's structure has safeguarded it against threats of dismantling NAFTA by U.S. President-elect Donald Trump. “When we ship a working cell (company term for the complete process to produce a particular part) or when we ship a mold in Mexico, the goal is to keep it in Mexico,” Houle said. “We're not exporting any of our products.